Annually, we produce 2.12 billion tonnes of waste which is becoming extremely damaging to our planet. Although authoritative bodies around the world have introduced schemes and initiatives to encourage recycling — most of our waste continues to end up in landfills; which is leading to severe consequences for the environment. This figure is also expected to grow to 4 billion by 2100. However, waste is not only deposited in landfills and buried deep underground; some of it ends up in our oceans illegally. According to some studies, 1.4 billion pounds of rubbish ends up in our waters each year which is having a profound impact on marine life — so much so, scientists have estimated that the amount of plastic will outweigh the fish by 2050. The level of waste is a result of 99% of the items we purchase being disposed of within a six-month period. Because of this, more businesses around the world are looking at more sustainable ways to create their products in a bid to help better the world that we live in, as well as using traditional methods like caged tippers or skips to remove large waste. Since 1979, Ngwenya Glass has been handcrafting quality one-of-a-kind glassware that has real social and environmental impact on lives and landscapes throughout eSwatini. 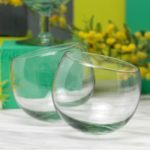 Originally set up as a Swedish Aid Project, Ngwenya Glass now trains over 60 people in the art of glassblowing to create one-of-a-kind pieces of ethical homeware. Every day, Ngwenya Glass prove that a commitment to protecting the environment can exist hand in hand with commercial success. All products are handcrafted from 100% recycled glass, sourced from throughout eSwatini by local people. Ngwenya Glass encourages communities to come together for clean-up days along main roads in the area to gather discarded glass. Most of the glass used to be soft drink bottles! Ngwenya Glass pay these glass-gatherers by the kilo, while empowering them to conserve their environment, too. The business also works with local schools to educate young people in the importance of environmentalism and recycling, and supports schools with building materials and learning resources. You may already be familiar with the Kånken bag which has recently caught the eye of British consumers. Originating from a small town in Sweden, the company focuses on outdoor clothing and equipment and is committed to making nature more accessible for adventurers alike while having a focus on the simplicity of their products. Although they pride themselves on simplicity, the crafting of the bag is much more complex. To play their part in helping the environment, they released the Re-Kånken bag which is made entirely from polyester recycled from plastic bottles. As well as this, it is dyed with SpinDye technology which ‘radically reduces’ the amount of water, energy and chemicals used. The Eco-Shell is another product from Fjällräven that avoids using materials that harm the environment. Eco-Shell is also made from recycled polyester and unlike many other products on the market, perflourinated chemicals are not involved in the creation. In a bid to make use and reduce plastic waste in Amsterdam, Wasteboards is a company that creates the traditional skateboard with an eco-friendly twist. Benefiting the environment as research has suggested that there are 20,000 plastic bottles are being bought every second, this forward-thinking company collect plastic bottle tops to create the deck of the board. 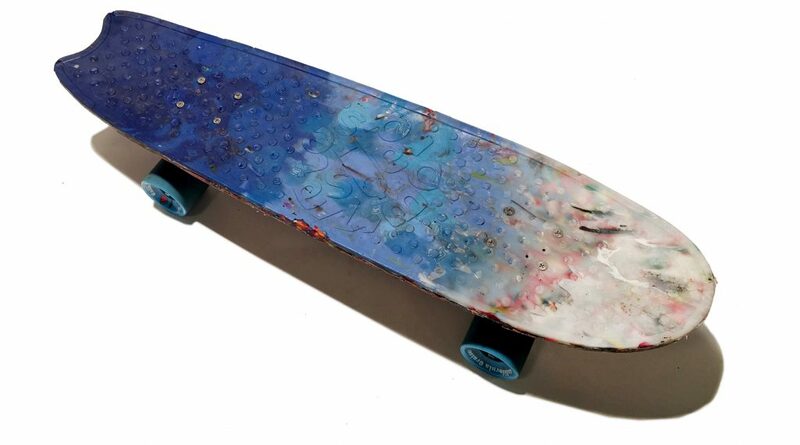 Wasteboards also believe in helping out the local community and encourage people to collect bottle tops from a range of events to ensure they can continue the development of unique skateboards. As well as this, fishermen who use the canals in Amsterdam are also asked to collect as much as they can. One part of the appeal is that each board is handmade and moulded into a design that creates an aesthetically pleasing product for a young demographic. This company loves the idea of being sustainable and being able to sell a sustainable product, so even if your wasteboard breaks — they’ll recycle the broken plastic and create you a new one! Lush Cosmetics is often referred to as one of the most environmentally-conscious brands in the UK. So much so they claim to be 100% vegetarian, promote ethical buying, fight animal testing, craft their products by hand and offer naked packaging products which is helping reduce the chaotic packaging crisis Britain is now facing. According to some figures, each person uses around 200 pounds of plastic a year — 60 pounds of which is thrown away instantly. This has highlighted a huge problem and put great responsibility upon businesses internationally and through innovative design, Lush Cosmetics were able to develop several products that didn’t require packaging to sell. From shower gels to shampoos, there are plenty of naked products available. As well as this, all of plastic used by Lush is 100% recycled. Listed above are only a few of the many businesses trying to play their part in helping the environment. This proves that the ability to be creative and think outside of the box can truly have admirable benefits that help both people in the planet — could you become more ethically focused?